I am characterized by a strongly multidisciplinary background in physics, engineering and neuroscience, and I work at the interface between these disciplines. 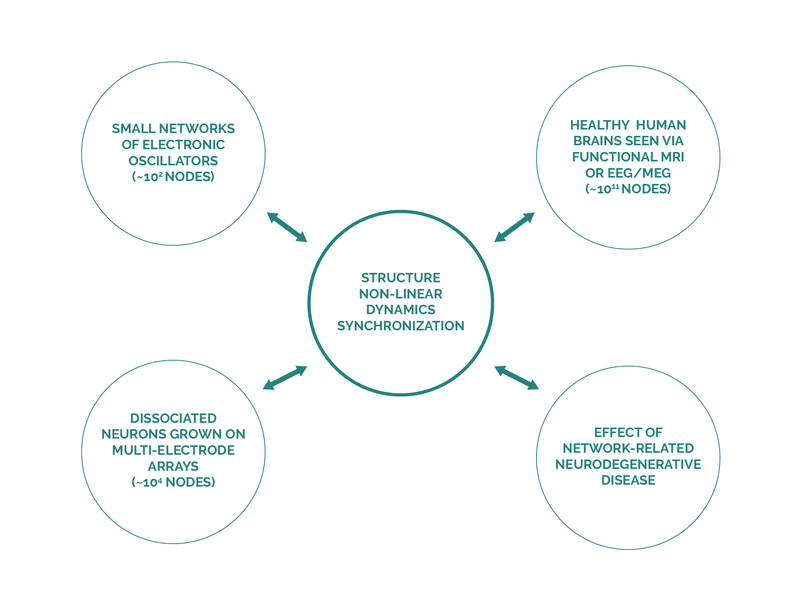 My main research interest is currently how complex synchronization patterns and collective dynamics emerge in non-linear physical and neural systems. I approach this topic primarily by numerically and experimentally investigating diverse electronic circuits based on single transistors, amplifiers, field-programmable analog arrays (FPAAs), custom integrated circuits and gas-discharge tubes. I attempt to establish relationships with properties of neural activity recorded at the macro-scale (e.g., whole-brain functional MRI), meso-scale (e.g., neurons cultured on micro- arrays) and micro-scale (e.g., single neurons). 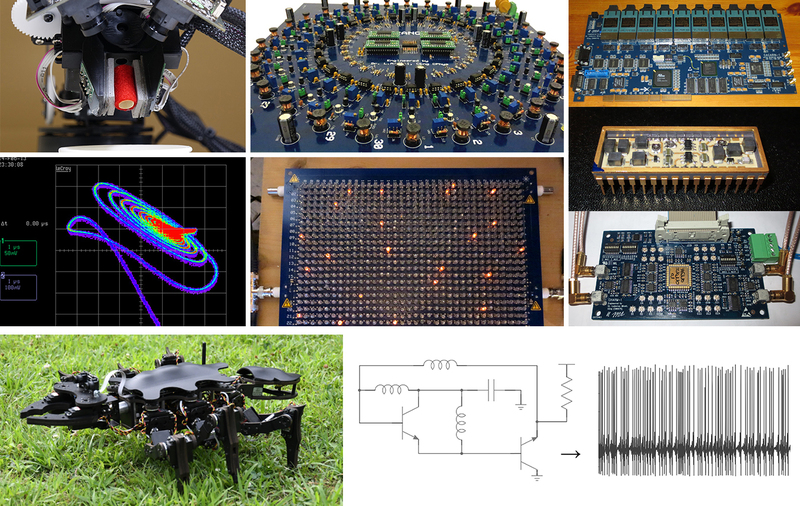 I am particularly interested in the application of non-linear dynamical concepts to bio-inspired robotics, brain-machine interfaces and distributed systems. Among my most recent publications, you will find work that demonstrates how key phenomena observed for the brain, such as emergence of a modular structure, connectivity-related phase transitions and emergence of complex topology of synchronization, can be readily recaptured even in very simple non-linear electronic networks, such as rings. On this website, you will find detailed information about the custom hardware designs, and access to the full experimental datasets. At present, my work focuses on the design of various non-linear electronic networks, mainly based on bipolar-transistor and field programmable analog-array (FPAA) circuits. Significant efforts are also being invested towards the development of custom data acquisition and signal processing equipment, for example to enable experiments on chaos control. Among recent studies, you will also find demonstration of the potential for non-linear electronic networks to generate motor patterns, recapitulating with great versatility emergent gaits and postures observed in insects.